Why is profiling a person’s autism useful? Profiling an individual with Autism Spectrum Disorder (ASD) helps education and care settings to understand how an individual's autisms affects them. While each person with autism is unique, the difficulties faced can be divided into four key developmental areas: Communication; Social Interaction; Flexibility of Thought; and Emotional Regulation. Once the profiling is complete, the most appropriate ability-relevant support strategies can be identified for that individual. The overall aim is to sustain and enhance each individual’s wellbeing, helping them to make good choices, achieve success and benefit from positive life experiences and outcomes. How does Autism Progress help? Already in use by over 400 settings in the UK, Autism Progress is an observational assessment framework designed to help members of staff to support individuals with autism. It has been created to give education and care professionals a universal language to describe, discuss and address the unique challenges faced by individuals with autism. This profiling tool is designed for use across a wide range of settings and disciplines - from the classroom to residential and adult care - each of which have very different needs. It has been developed by B Squared, in collaboration with experts from three leading charities - Autism Wessex, Scottish Autism and the North East Autism Society. 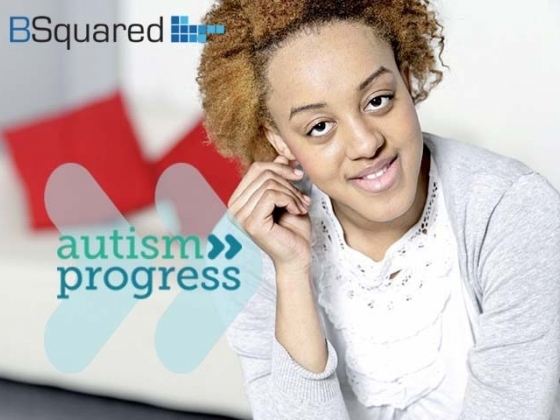 Autism Progress aims to give the most detailed current picture of an individual’s capabilities. Used within B Squared’s Connecting Steps assessment software, it can help profile people from birth to early adulthood against the four key developmental areas highlighted above. The support strategies Autism Progress provides have been carefully selected to enable professionals to design personalised support plans. Development in the four key areas will help each individual to transfer skills to everyday life and learning experiences. This will ultimately enhance their quality of life and improve their chances of finding sustainable employment. B Squared has over 20 years’ experience in education assessment. Our Connecting Steps software has been developed to identify and record even the smallest of achievements making it ideal for tracking the progress of individuals with SEND. The assessment frameworks within Connecting Steps cover a wide range of abilities and can be used from birth to 25. Over 40,000 teaching staff use our assessment software, adding more than 500,000 assessment points every week.